Coming off a 111-107 victory against Atlanta Sunday night, the New York Knicks will look to win back to back games for the first time since November 20th and 22nd. And even though a win would put their record at only 14-13 to start the season, they continue to be a big draw at Madison Square Garden, especially when other premier franchises come to town. It will cost more than $400 on average to get into tonight’s game against the Los Angeles Lakers at Madison Square Garden. 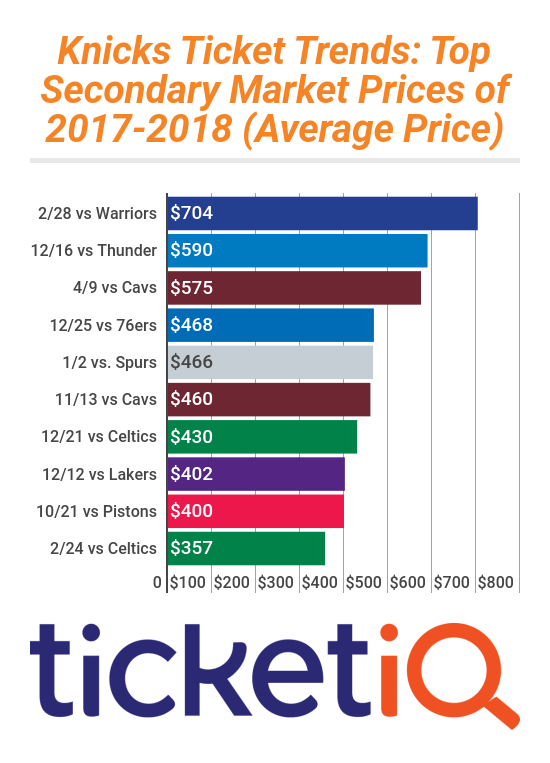 The current asking price for tickets on TicketIQ.com is $402, making it the fourth most expensive Knicks-Lakers’ tickets since 2010, when TicketIQ.com began tracking data. The most expensive was $587 in 2011 and the cheapest was $241 in 2015. Overall this season, the average price for a Knicks ticket at Madison Square Garden is $295. The Knicks, 12-5 at home, have a real chance to get on a roll this week. The Lakers may be deep and well-coached, but they’re 10-15 so far. New York, which doesn’t really have to travel this week, plays at the cross-town Brooklyn Nets Thursday and are then back home to host the Oklahoma City Thunder Saturday. At 13-13, the Knicks are in eighth place in the Eastern Conference and have a better record than any of the three teams they’ll play this week. The asking price for tickets to the Thunder game is currently $590, making it the most expensive of the season, and likely the most expensive in history. The 2013 match-up cost fans $595, though you could get into MSG for $135. At $161, the get-in price for Saturday’s game has already eclipsed that. The cheapest OKC at Knicks game since TicketIQ.com began tracking data was $91 in 2010. 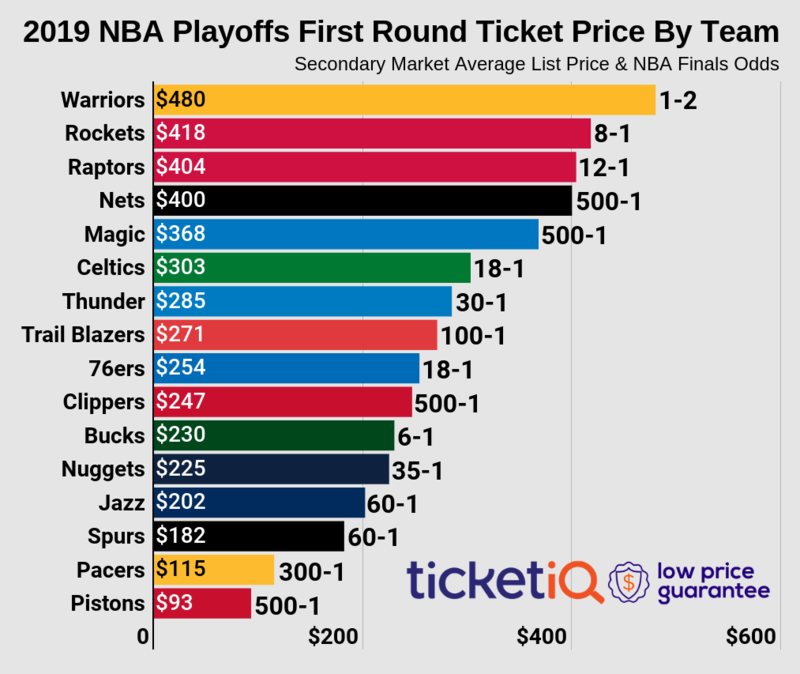 While Lakers-Knicks likely won’t top the $704 it’s currently projected to cost when the Golden State Warriors came to town in February, it will certainly be a hot ticket. So whether you’ve got the big bucks and can sit courtside or you just want to be in the stadium, TicketIQ.com can help. Among TicketIQ.com’s Low Price Guarantee listings, seats are available 13 rows up from the middle of the court in Section 117 for $1,049 or in Section 220 at the top of the bowl for as low as $131.